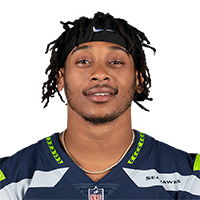 Pick Analysis: Any time McDougald feels sorry for himself because of a bad play on the field, he can take strength from his older brother, Brandon, who was diagnosed with cancer in the fifth grade, eventually losing his leg to the disease. Now Bradley carries both of their athletic dreams on his able shoulders, potentially going all of the way to the National Football League. The Dublin, Ohio native originally committed to Ohio State, but decided to take the Jayhawks? offer to play receiver instead of moving to safety like the Buckeyes correctly predicted his final position would become. As a true freshman, he played in every game on offense (33 catches, 318 yards), defense (five tackles, interception) and special teams (18.8 yards per kick return). He continued playing both ways in 2010, starting eight of the first 10 games at receiver (19-240, TD) and then the final two games of the year at safety (16 tackles, one interception, one pass break-up). He finally stayed on one side of the ball for the entire season in 2011, garnering honorable mention honors after starting all 12 games, making 90 tackles, six for loss, and five pass breakups; he returned one of his two interceptions on the year for a 57-yard touchdown against Missouri. In his final year, McDougald was named Coaches All-Big 12 second-team after finishing the year with 92 tackles, three interceptions, and two forced fumbles. Published: Feb. 26, 2013 at 03:00 a.m.
Watch Kansas DB Bradley McDougald work out at the 2013 NFL Scouting Combine.